Thanks to Ken Miner for some remarkable diagrams of the vocal tract. Concerning baha(r)sa (blog, yesterday), Harry Campbell says that he has actually spoken to Alexander McCall Smith. McCall Smith is indeed a Scot, though a posh-speaking one who if I remember correctly (having only spoken to him a couple of times on the phone) speaks something not that far from RP, with not much rhoticity in it. He's a very educated and well-travelled man and it would seem surprising if he hadn't seen the word in writing, and pronounced by rhotic as well as non-rhotic speakers, many times. But isn't it possible that the retroflex s will involve a rhotic on-glide, if that's the right term, which will sound just like /rs/? Is it even possible that Baharsa is an uncommon alternative spelling of the word? A Google search does turn up a few convincing examples (specify English-language results in order to avoid the Turkish word). This is ingenious. But there are only seven Google hits for baharsa Melayu and six for baharsa Malay (as against 100,000 times as many for bahasa ditto). I don’t think this justifies the claim that baharsa is an accepted alternative spelling. among the current three pronouncing dictionaries, only Clive Upton's ODP (and such dictionaries as Oxford Dictionary of English, Second Edition (2003, Revised 2005)) gives a variant with /-ʃ/ in the first place for British English. Also, since this variant has been the most common in American English (I don't know since when, though), do you think this is another instance of Americanization? The oldest American dictionaries I have to hand are the big Random House (1967) and Kenyon & Knott’s Pronouncing Dictionary of American English (1953). Both include /-ʃ/ while prioritizing /-s/. More recent American dictionaries generally prioritize /-ʃ/. It may well be the case that /-ʃ/ gradually spread in the States before spreading here in Britain. I've always said -ʃ ever since the 1930s. I've never been aware of an alternative — never among our neighbours or my parents, never confronted with an alternative possibly "better" pronunciation at school. So that takes us back to around 1900. I obviously must have heard someone say ɪs in all these years without reacting, but it was today's blog that startled my awareness. And your diagram tells me that I ought to have heard about half my contemporaries say ɪs. In addition to my own lack of awareness of ɪs, there may be other things going on here, such as a regional shift in addition to the diachronical shift seen in your diagram. Perhaps also a social shift. And even the composition of the samples responding might need checking. On the other hand the substance liquorice is not a hot topic for conversation so I suppose it's not a word you hear all that often in a lifetime. I can very well imagine I went right through grammar school without ever once mentioning it to a schoolmaster. Jack Windsor Lewis says much the same (as well as adding plenty of other interesting points) in his latest blog entry. And finally Petr Rösel has been doing some historical research. E.J. Dobson in his Pronunciation of English — 1500-1700 in Vol. II, § 373 quotes the orthoepist Cooper, who evidently used [ʃ] himself in liquorice, for he (= Cooper) says that he prefers the spelling licorish. According to Dobson this tendency for [s] to become [ʃ] seems to have been widespread in mostly EMidl and Northern dialects, a tendency which affected chiefly final [s]. This process resulted in homophones (or near-alikes) such as kiss:kish or lace:lass:lash. Cooper’s Grammatica was published in 1685. ...negotiating a series of pothole-ridden back roads and alleyways, they arrived at a small café on the front of which was a block of Chinese script and a large sign in Baharsa Malay advertising the merits of Tiger Balm. This should, of course, be Bahasa, the Malay and Indonesian word for ‘language’, derived from the Sanskrit bhāṣā. (In case your browser cannot render it, the letter between the two vowels should be s with a dot below, representing IPA [ʂ].) The official name for the Malay language is Bahasa Melayu. 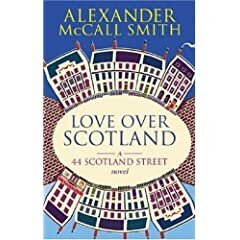 Alexander McCall Smith is a Scot. He presumably speaks rhotic Scottish English. Why would someone with this linguistic background spell this word with an irrelevant letter r? I suppose it must be because he has heard the name spoken rather than seen it written. He must have heard it spoken by a speaker of non-rhotic English, as bəˈhɑːsə. Then just as non-rhotic ˈpɑːsən corresponds to rhotic ˈpɑrsən and is spelt parson, so he must have inferred that non-rhotic bəˈhɑːsə must correspond to bəˈhɑrsə and be spelt baharsa. One of the items in the BrE pronunciation preference poll I conducted earlier this year was licorice/liquorice. I had always pronounced this word ˈlɪkərɪs myself (and still do), though I was aware that some say ˈlɪkərɪʃ, making it a homophone of lickerish. I was quite surprised to find that as many as 83% of all respondents voted for -ɪʃ. Indeed, some of them commented that they considered the -ɪs pronunciation prissy or over-careful. Among the youngest speakers, preference for -ɪʃ rose to 95%. For my own age group, the figure was a more modest 68% — which is still two-thirds. Something I didn’t ask for was how many syllables the word has. It is subject to compression, so becoming ˈlɪkrɪs or ˈlɪkrɪʃ — particularly in the expression liquorice allsorts. Some speakers have probably lexicalized the compressed form. 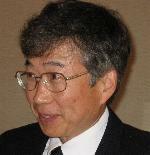 EPD did not include -ɪʃ until the fifteenth edition (1997), when Peter Roach took over as editor. LPD has had it since the first edition (1990), though not as the main pronunciation. As so often, though, priority goes to Jack Windsor Lewis, who recorded it in his CPD over a third of a century ago (1972). You’ve heard of Franglais, of Japlish and of Singlish. Here is some Sgymraeg: the consequence of a local council in an English-speaking part of Wales using on-line machine translation software to generate a Welsh version of its website. Notice the Welsh version of the small print at the bottom. Interspersed among the Welsh words are items such as amongst, amenities, facilities, fortnightly, forthcoming — words the software evidently didn’t have in its database. Bear in mind also that Welsh is a VSO language, with mutations and grammatical gender, and you will believe me when I tell you that the Welsh text reads as pure gibberish. Thanks for this to Nic Dafis, author of Morfablog. He discovered that Barry Town Council appeared to have used a commercially available computer translation program called Intertran. Prices for this program start at $995 (! ), but perhaps the Council took advantage of the free sample translation facility available on the web for short texts. Nic then did a proper translation himself of the first paragraph, and I see that the Council has now revised the Welcome splash on its website to adopt it (follow the link to see). But they’ve left the second paragraph untranslated, presumably to avoid further ridicule. Among things other, he will be the position this containing knowledge signs opportunities and resources available crookedly the bars, with contain the services that who ‘ is heartburn have them prepare with Council the Town. The real scandal, though, is that a local authority in Wales should have entrusted its website to a company with no Welsh-speaking staff. Can you imagine a local authority in, say, Germany commissioning a website from a company with no German-speaking staff? Percentage of Welsh speakers in different parts of Wales. I hesitated for some time before finally writing this piece. A reader of this blog wrote to me back in September. He is a student at a university which had better remain nameless. He is enthusiastic about phonetics, and has taught himself a good deal about the subject. He had already sent me a number of well-informed comments on various matters. But he had never studied phonetics formally — till now. One of the modules in my third level course is linguistics. Today we began with phonetics. [...] I was eagerly anticipating my first official lecture on the topic, when I could experience the know-how of an ‘expert’. she transcribed tree as /tRi/, dubbing it 'phonetic'. You might wonder why I go to the trouble of listing these off, but when one feels passionately for a subject, one wants to see justice done to it. I just cannot understand how somebody with such a poor understanding of a subject could be allowed to teach it. What can one say? I did a little web research. The university in question states, in the prospectus for the BA in question, that the programme "provides a foundation in [...] Linguistics." The teacher in question has just completed a PhD in sociolinguistics. Presumably, as a junior post-doc, she was told by the head of department that she must teach an introductory linguistics course covering phonetics. No doubt she has been struggling to do her best. In a lecture last week she said that "people hardly ever speak grammatically", with the exception perhaps of those who speak RP, or the queen herself. It dismays me that anyone can get a PhD in any branch of linguistics without knowing about basic linguistic concepts such as competence/performance and grammaticality, and without knowing even elementary phonetics. One can only hope that in due course the external examiner will realize what’s going on, and flag it up. Or even the Head of Department. But the Head of Department may not know much phonetics and linguistics either. In my class today, I gave such single-stressed and double-stressed examples as 'Christmas tree, 'Christmas cake, 'Christmas 'Day, 'Christmas 'Eve, 'Christmas 'shopping. Then an enthusiastic student asked me the following question: What's the difference between 'Christmas tree and 'Christmas 'shopping? Why is one single-stressed and the other double-stressed? May I answer as follows? 'Christmas tree cannot be paraphrased as "Christmas-time tree" but 'Christmas 'shopping can be paraphrased as "Christmas-time shopping". Or may I say that single-stressed ones are more established as compounds? Or may I say contrast sometimes operates, as in 'Christmas 'Day and 'Christmas 'Eve and between 'Christmas 'Day and 'Boxing Day? Or may I say there is often no logical reasoning? I replied that although his explanations of the stress patterns of Christmas compounds were ingenious they didn’t altogether convince me. After all, we do our 'Christmas 'shopping in order to get our 'Christmas cards and buy some 'Christmas presents, which we give on 'Christmas 'Day before our 'Christmas 'dinner, which includes some 'Christmas 'pudding. We might watch or listen to the Queen’s 'Christmas 'speech or sing some 'Christmas 'carols round the 'Christmas tree. Later we eat 'Christmas cake or might pull 'Christmas 'crackers. Compounds with the second element Day are just as arbitrarily stressed as those with the first element Christmas. These patterns, like all lexical patterns, can of course be overridden for contrast: not Boxing Day but 'Christmas Day. Ultimately the lexical stress patterns of Christmas X and X Day are just arbitrary. There is no logic to them. I am trying to help a composer who has set ancient Greek lyrics to produce copy for the singers that uses IPA to represent the sounds of ancient Greek. I am using the restored pronunciation advocated by W. Sidney Allen in his book Vox Graeca. I was wondering whether you know of any sites that contain an IPA [transcription] of each of the sounds in [reconstructed classical] Greek. I don’t think there is any such site. So I thought I’d create one. After all, it seemed pretty straightforward: just a list of Greek letters mapped onto a list of IPA symbols. When I actually came to do it, though, I found it took me a considerable time. Quite apart from the chore of Unicoding both sets of symbols, I realized that for the user who doesn’t know much classical Greek, or any, there are quite a few things that may need to be explained, from breathings to vowel length to iota subscript. Furthermore, the needs of the ordinary user, who just wants guidance in terms of English sounds, are different from those of the phonetically sophisticated user who wants accurate information. Here is my attempt at producing a spelling-to-sound table for Classical Greek, based on Allen’s book. Other prospective correspondents please note: if you write to me, I want to know who and where you are. When people speak of some man having an enlarged ˈprɒstreɪt or undergoing a ˈprɒstreɪt operation, is this just a non-standard pronunciation of ˈprɒsteɪt prostate? Not really. Rather, it reflects a confusion between the words prostate and prostrate. People who pronounce the gland in question as the ˈprɒstreɪt will also want to spell it prostrate. For them, the gland and the word meaning ‘lying flat, face down (in exhaustion or submission)’ are perceived as homonyms. Actually, since the latter is a relatively learned and unfamiliar word, they may know only the glandular meaning. I wonder what they make of the words of the hymn. A similar case is the frequent confusion between silicon (chemical element, Si) and silicone (polymeric compound, used e.g. for breast implants). Referring in writing to a ‘silicone chip’ or in speech to a ˌsɪlɪkəʊn ˈtʃɪp is a solecism. So, conversely, is referring to the element as silicone. In a pronunciation dictionary, ought ˈprɒstreɪt to be included as a variant pronunciation of prostate, perhaps with a sign to show that it is not considered correct? My answer is no. We cannot cater for Mrs Malaprop.